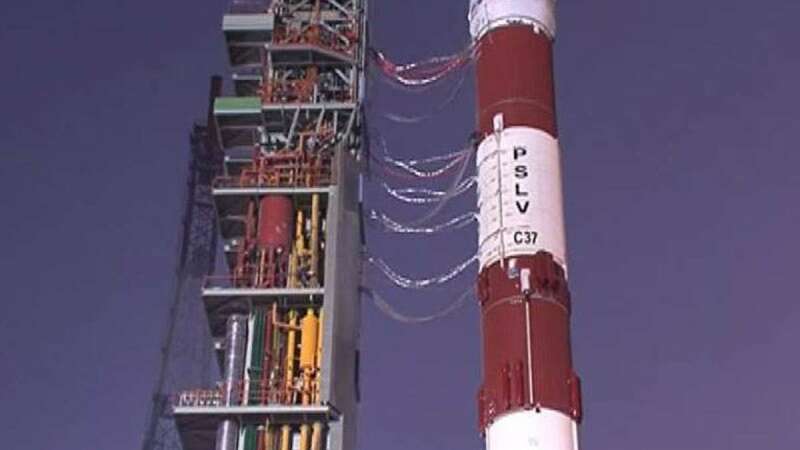 Chennai : The non-separation of the heat shield of the PSLV, which trapped within itself the navigation satellite and resulted in a failed mission on Thursday, could be due to failure of component quality or quality checks, not a design failure, space technology experts said. In Thursday's mission, the heat shield should have separated just over three minutes into the flight so that navigation satellite IRNSS-1H could be ejected into orbit later, but it didn't happen. "It is really perplexing that such a thing has happened. Normally, the PSLV rocket has several redundancies built into it," R.V. Perumal, a former ISRO scientist, told IANS. "The computers have to give the necessary commands. The commands have to be relayed by the electrical circuits. The pyro circuit has to get initiated which, in turn, has to cut the mechanical elements so that the two parts of the heat shield get separated," he said. "The computer programmes may have several redundancies to take care of an eventuality. So they can be tested on ground before and also during preparation for the flight. The electrical circuits and some pyro elements will also have redundancies. "A rocket has several one-time operation systems. Such systems cannot be pre-tested and cannot have redundancies. Only sample tests can be made with items manufactured in that batch. And then a system is used in the rocket," he said, terming the one-time operation systems "the riskiest items" in any rocket. The Indian space agency should also look at its quality check systems. One of India's heaviest rockets, the Geosynchronous Satellite Launch Vehicle (GSLV), was lost due to a faulty component. The reason for the failure, the analysis report revealed, was that one of the propellant regulators had a manufacturing defect of a "much higher discharge coefficient in its closed condition", which escaped the inspection and acceptance test procedure. This defect could stem from an "inadvertent error in manufacturing, which escaped the subsequent inspection, and acceptance test procedures" as the component functioned satisfactorily in all the previous 50 engines manufactured and tested so far, it said. The two successive failures of GSLV missions in 2010, resulting in a total loss of around Rs 600 crore (cost of rocket and satellites), had already stalled ISRO's plans and it is only now that the GSLV rocket plans are getting back on its rails. But for two failures -- one in 1993 and the other on Thursday -- the PSLV has an excellent success record launching several Indian and foreign satellites. Incidentally, the launch of the first navigation satellite IRNSS-1A was also postponed from its original launch date after a problem was discovered in one of the electro-hydraulic control actuators in the rocket's second-stage engine. ISRO also had earlier dismantled a fully-assembled PSLV rocket to check a component in the rocket's second stage. In 2010, a fully-assembled PSLV rocket was dismantled to replace a gas motor in its second-stage engine. The gas motor powers the rocket's second-stage control actuators for manoeuvring the engine's nozzle -- a process called gimballing, which enables the rocket to maintain a steady course on its way up.